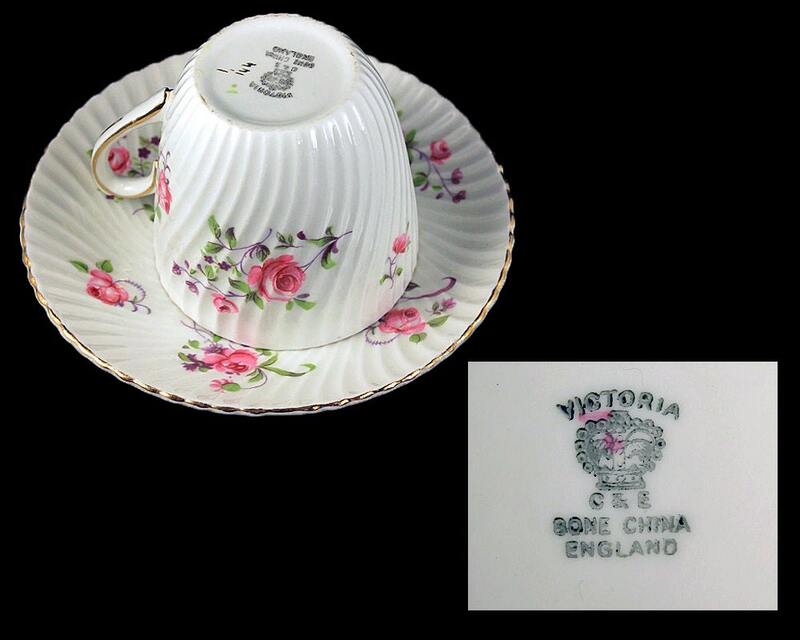 A gorgeous teacup and saucer made by C & E (Cartwright & Edwards) in their Victoria line. 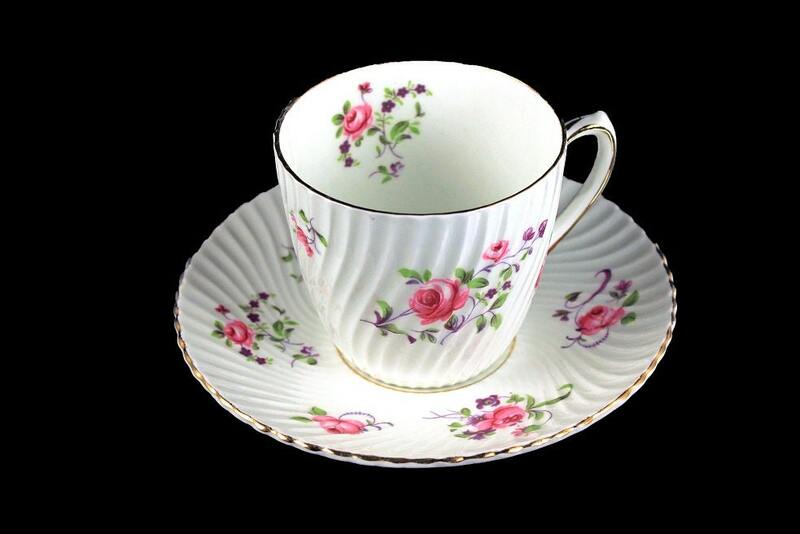 The pattern consists of roses on a white swirl ribbed base. 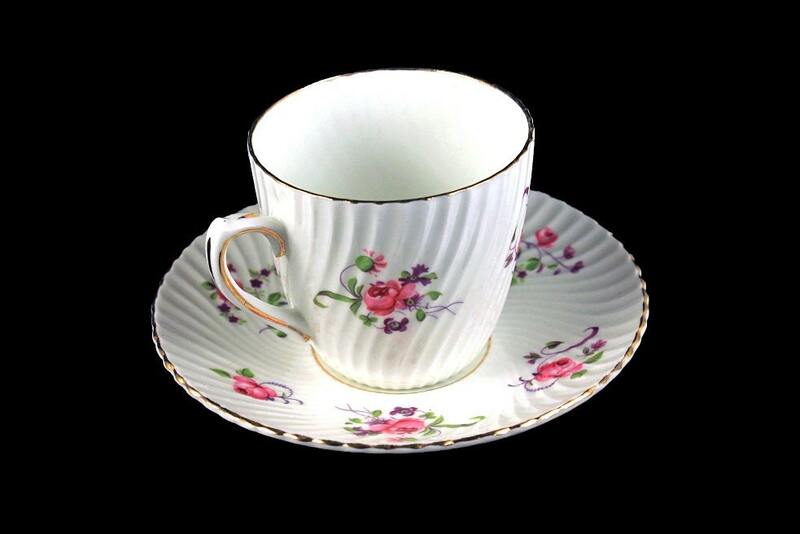 There is gold trim on the rim and handle of the teacup. Gold is also on the rim and verge of the saucer. 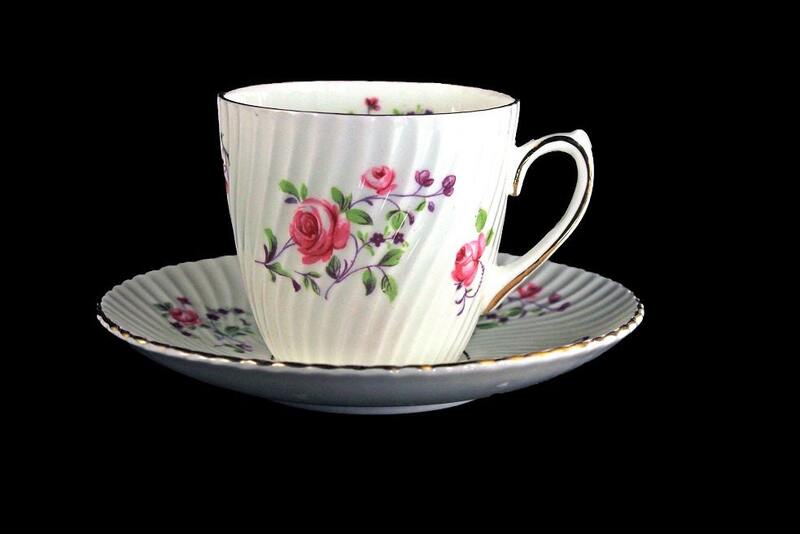 This teacup set will be perfect for your afternoon tea, your collection, or just as a conversation piece. 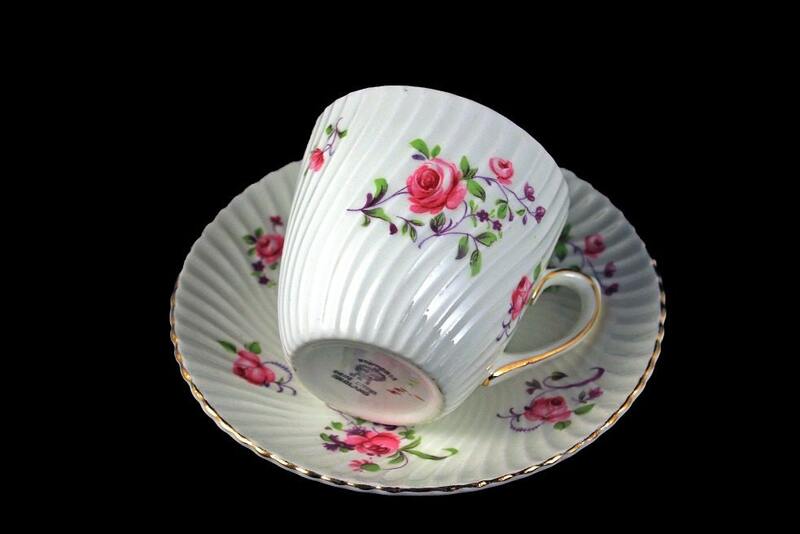 Perfect for the tea connoisseur or teacup collector. This teacup set is in "like new" condition. There are no chips, cracks, or crazing. This is a fantastic set for the collector. It would make a marvelous gift for a wedding, housewarming, holiday, or special occasion.